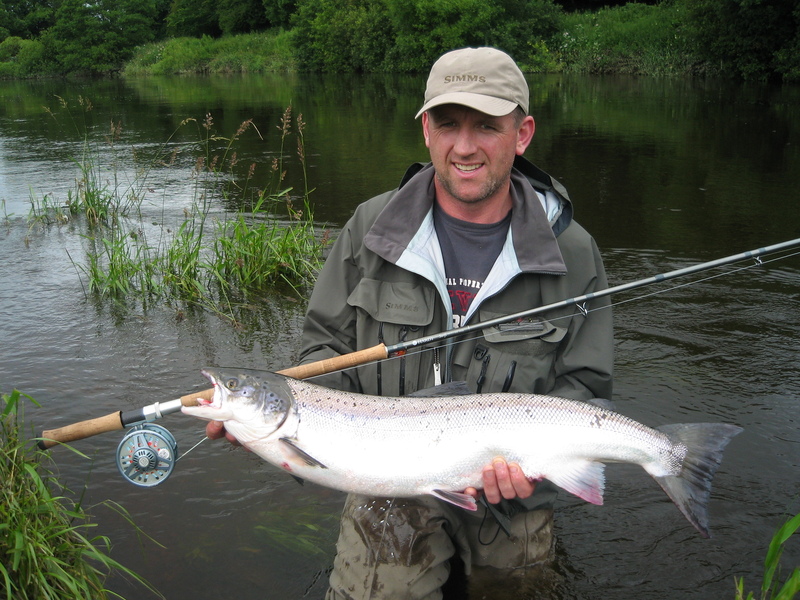 Game Fishing Ireland has access to some of the best salmon fishing beats on the Munster Blackwater, and is committed to providing its clients with the best available beats to suit the fishing conditions and the customers preferred method of fishing. 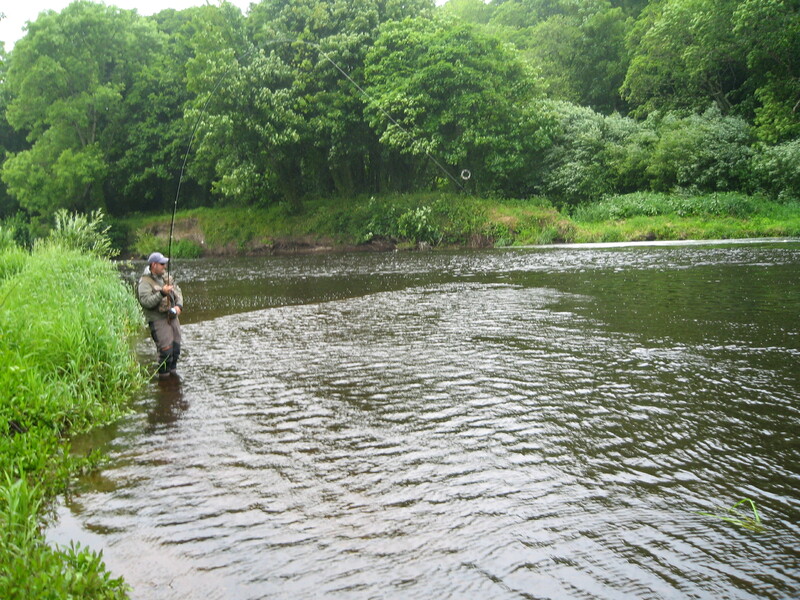 The Blackwater is one of Irelands top salmon rivers in terms of numbers of fish. A State Licence (logbook&tags) is required to fish for salmon in addition to a permit from the fishery owner. For further information click here. 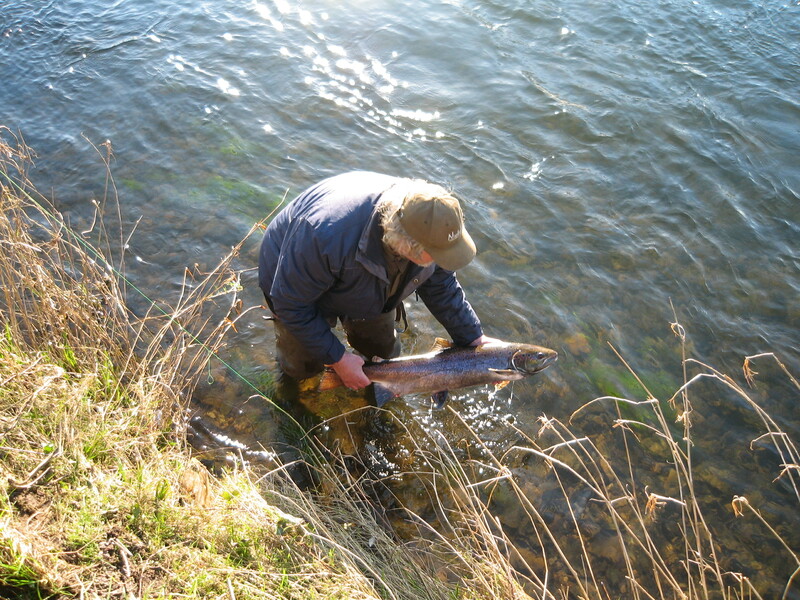 A coloured salmon is returned to the river. Typical fly fishing tackle required would be a 13ft – 15ft Double Handed fly rod with matching reel and line. Successful flies include hairwing and shrimp patterns in sizes 6 to 14. Tube flies and conehead tube flies are also popular. Sinking lines are normally used in the spring and intermediate tip and floaters in the summer. For spin fishing an 11ft 15-30gr.spin/bait rod with suitable spinning reel loaded with 12-15lbs mono is recommended. The salmon fishing season typically runs from February 1st till the end of September (although some years there may be an extension into October on catch & release basis).